The following items were sent as press samples. We’re not otherwise affiliated with the company. Yoooooooo! This new collection is crazy!! Def my favorite from STROBE thus far. 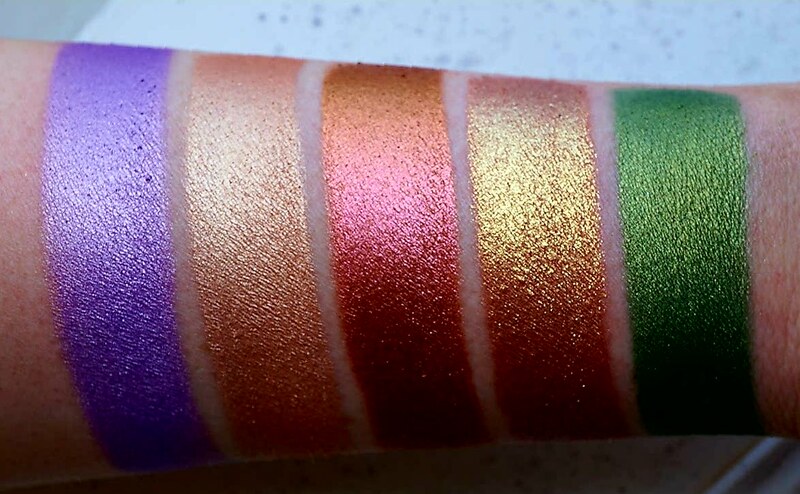 As you probably already know, all STROBE products are cruelty free and vegan. And they’re made without parabens or talc. They’re larger pans (I want to say 29mm) with 2.5g of product and with the discount code, they’re only a little over $5 a piece. Bargain! Alright so let’s talk about these babies! So obviously SUNWELL (middle) is my fav. Duh. 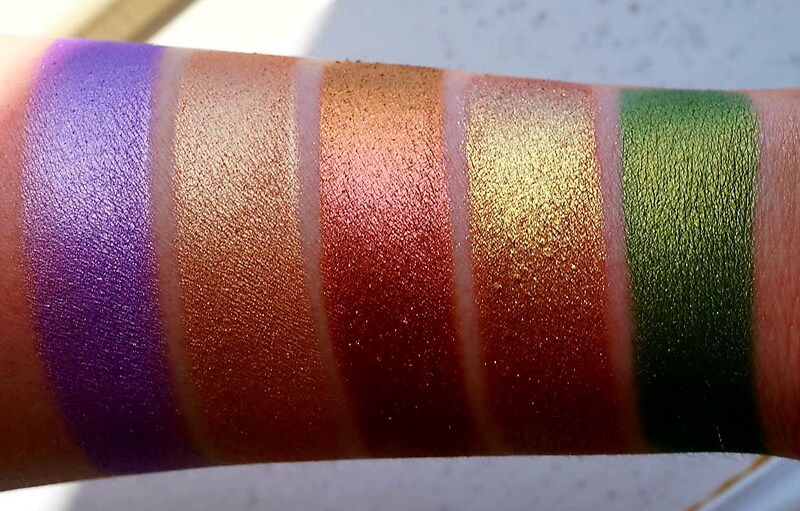 It’s the perfect pinky copper/red/gold/cranberry duochrome. Second runner up is TALISMAN (fourth). This one is an extra sparkly bronzy gold with a pink shift. Those two are my girls. I just got them this week and we already connect on a spiritual level. But I love the other three too. SANCTUARY (last) is a gorgeous spring green with gold shimmer. 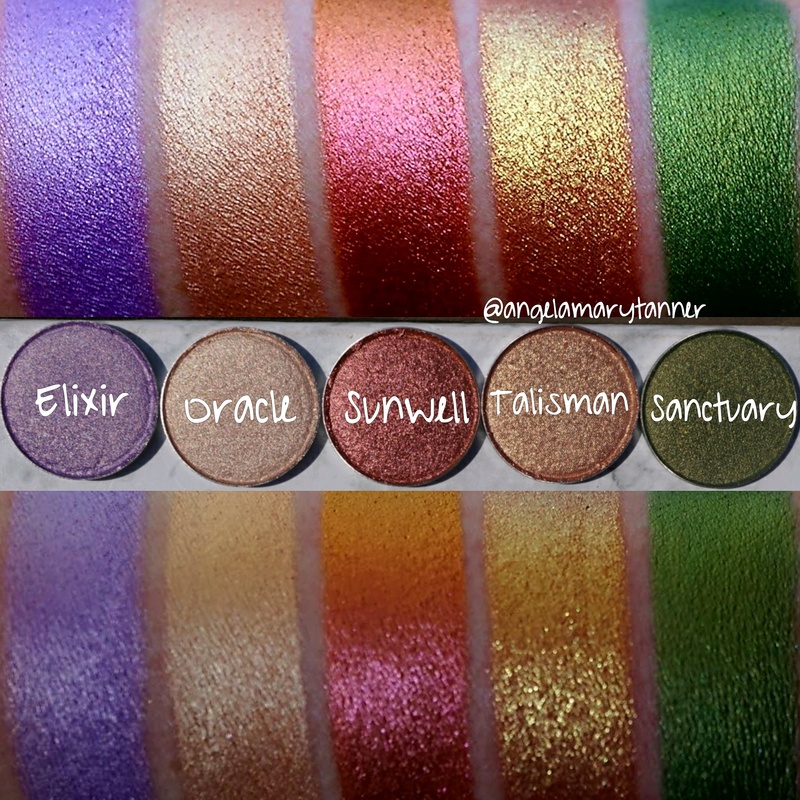 ELIXIR (first) is a cool toned lavender with warm gold shimmer. 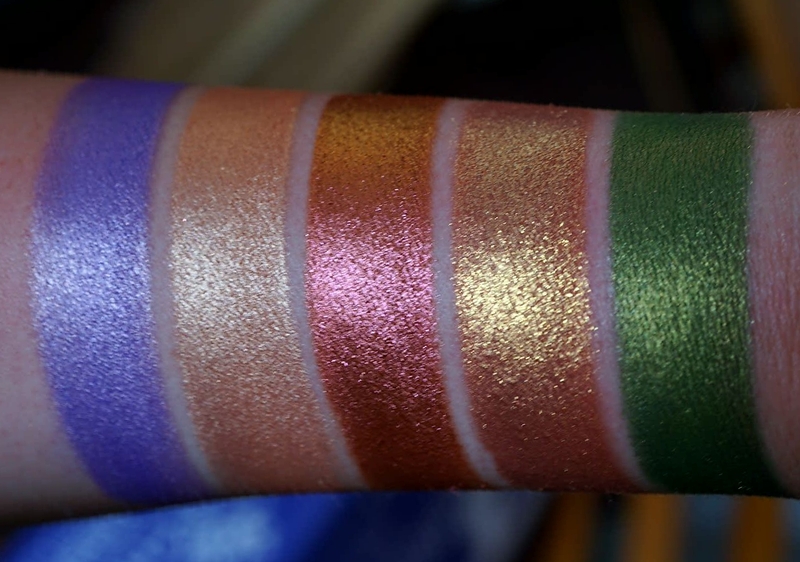 ORACLE (second) is a light peachy gold with a pink shift that I’m going to use as a highlighter forever. 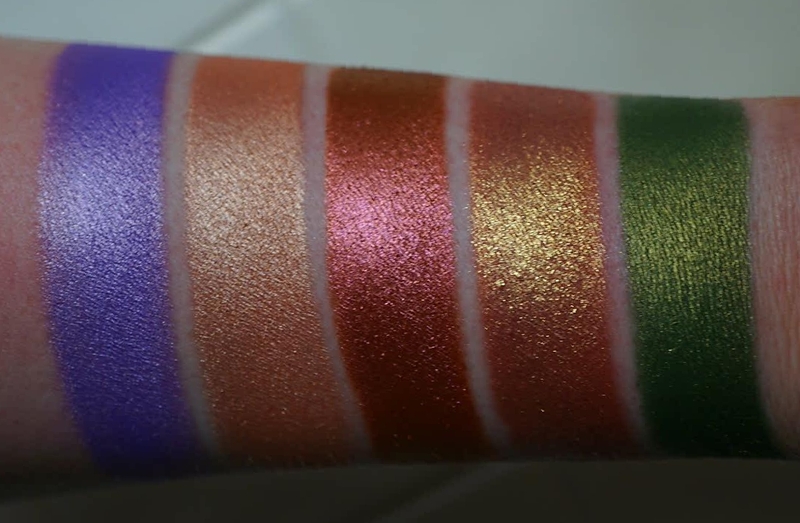 I’m a huge fan of STROBE COSMETICS and they continue to impress me more and more with each new release. Their products are well made, vegan, affordable and most of all gorgeous. 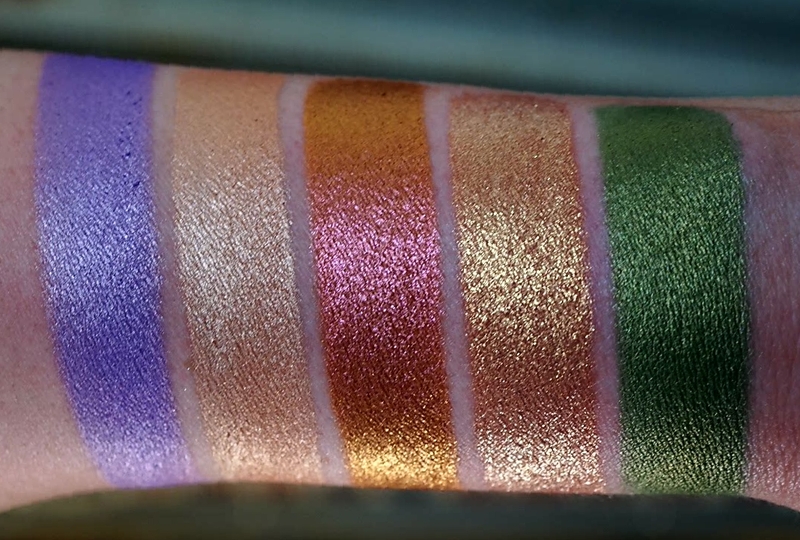 I’ve swatched their entire eyeshadow line previously. 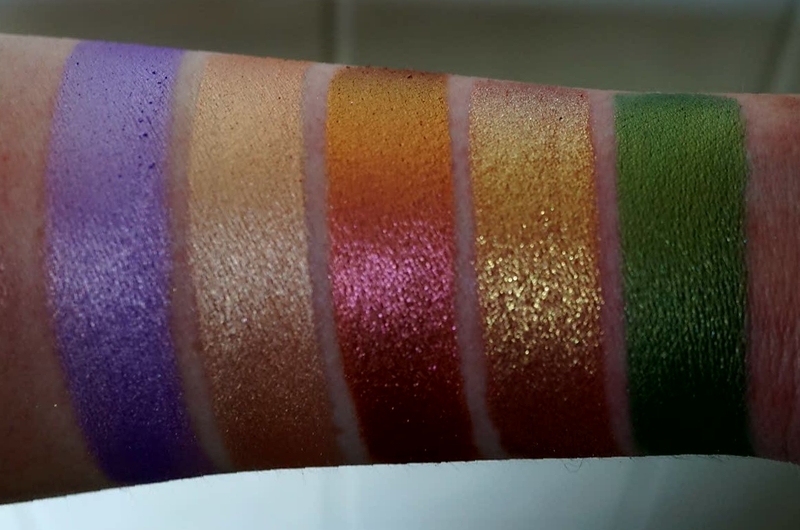 If you’d like to see swatches, return to the home page and scroll to the bottom where you can select ‘Strobe Cosmetics’ under the ‘brands we’ve discussed’ drop box.